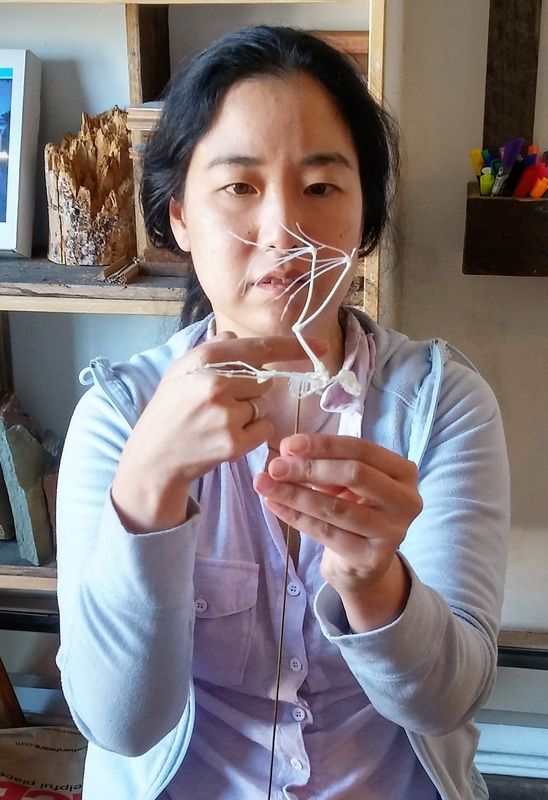 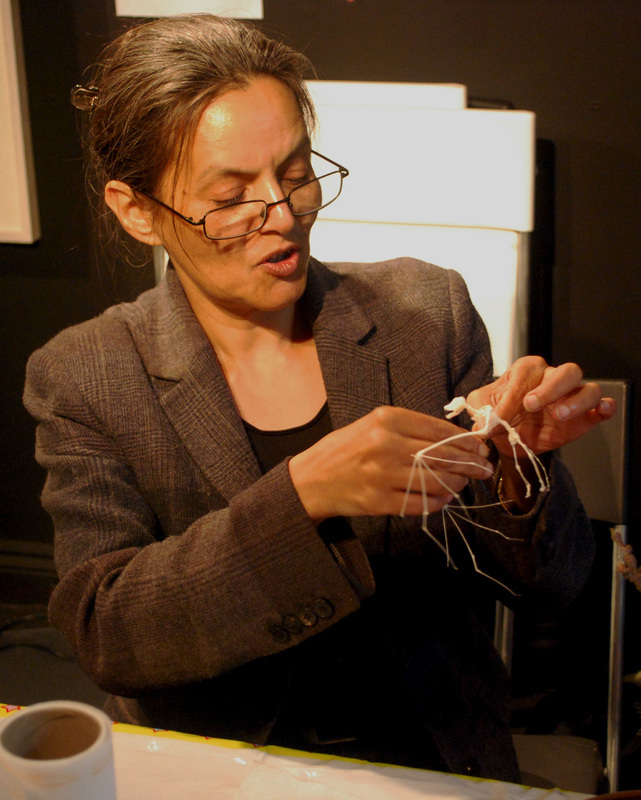 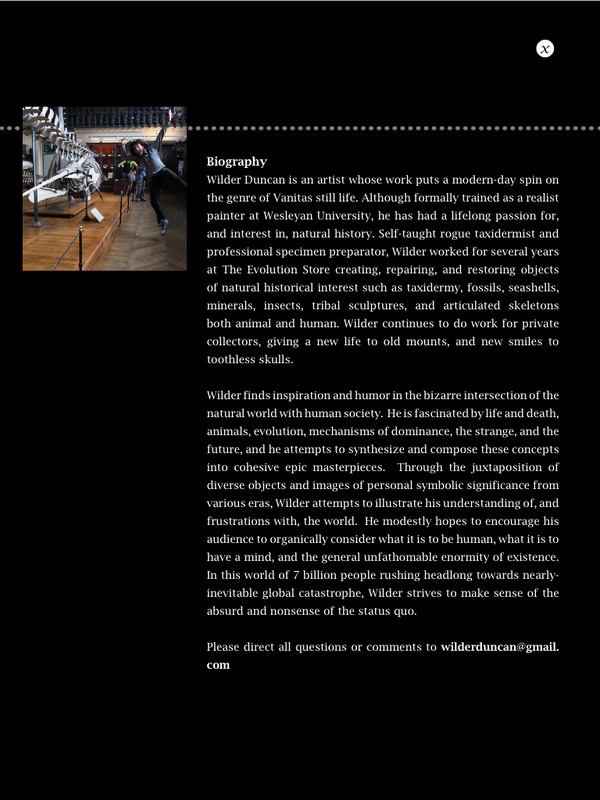 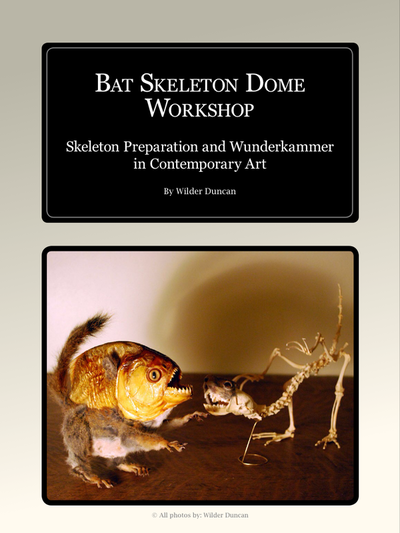 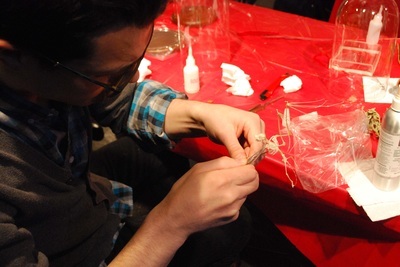 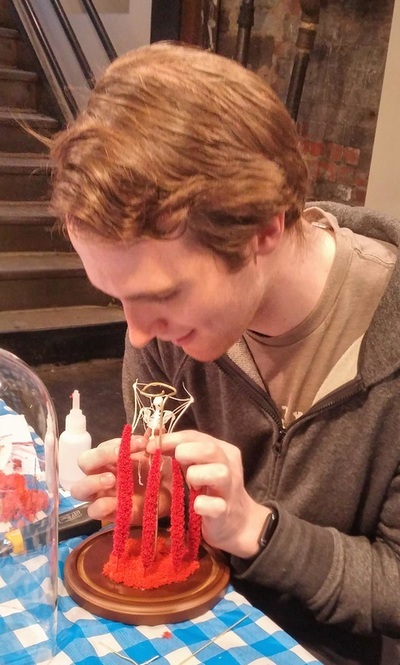 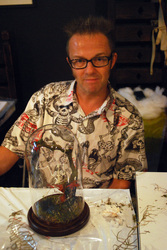 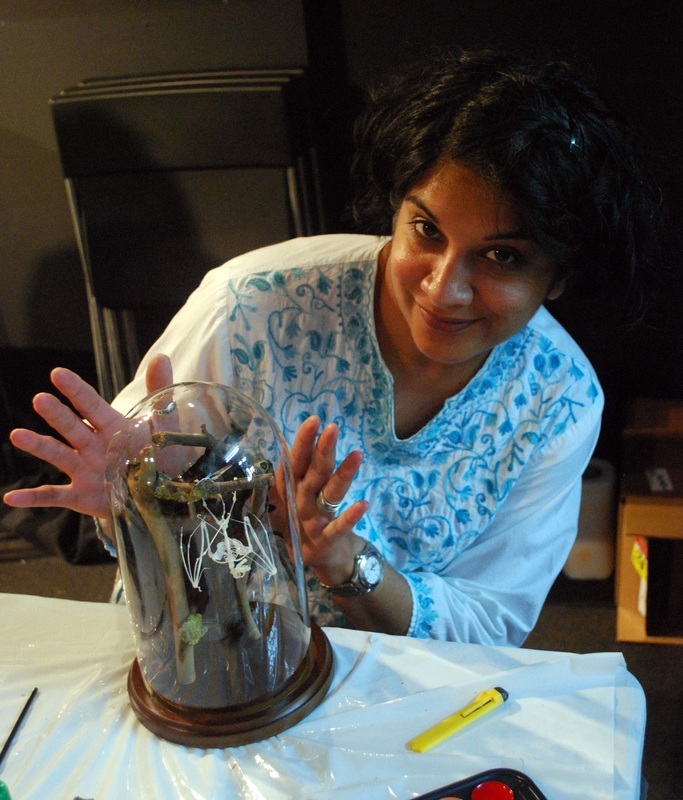 ​From time to time, I teach one-day bat skeleton articulation workshops. 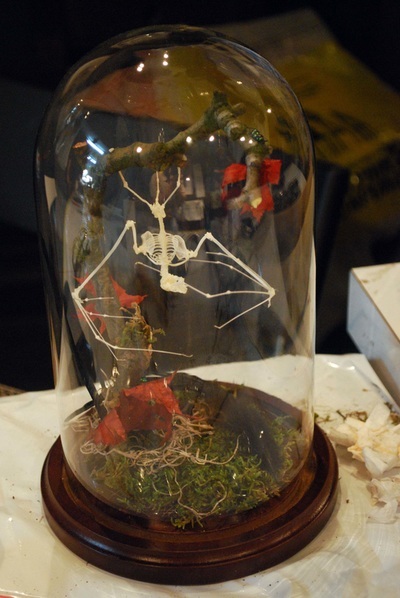 In this class, students learn how to create an osteological preparation of a bat in the fashion of 19th century zoological displays. 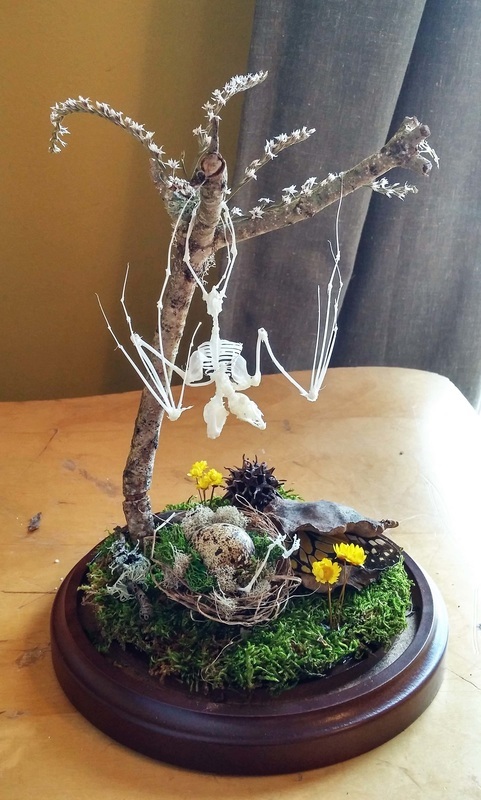 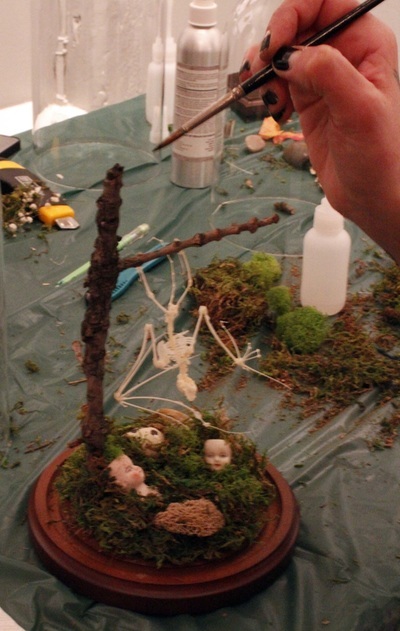 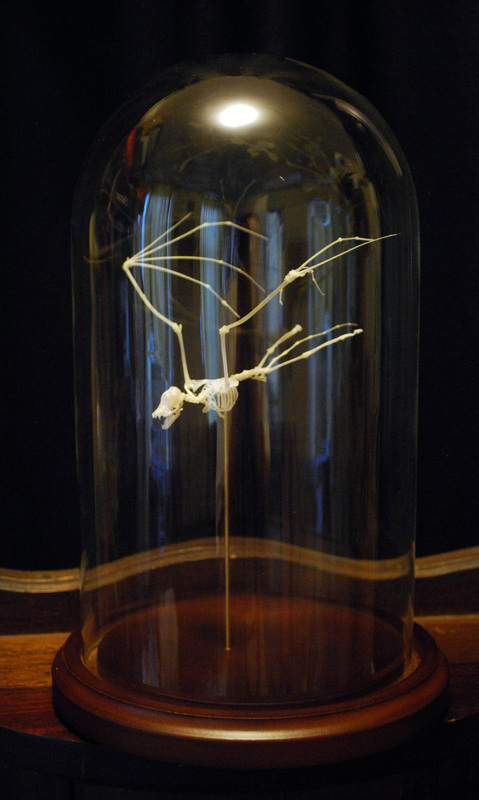 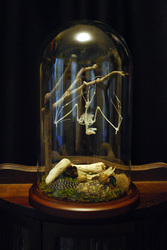 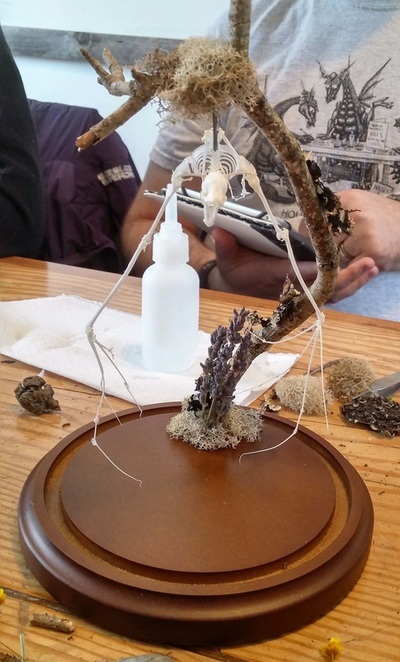 A cleaned bat skeleton (Pipistrellus abramus), a glass dome, branches, glue, tools, and all necessary materials are provided for each student, but one is welcome to bring small feathers, stones, dried flowers, dead insects, natural elements, or any other materials s/he might wish to include in his/her composition. 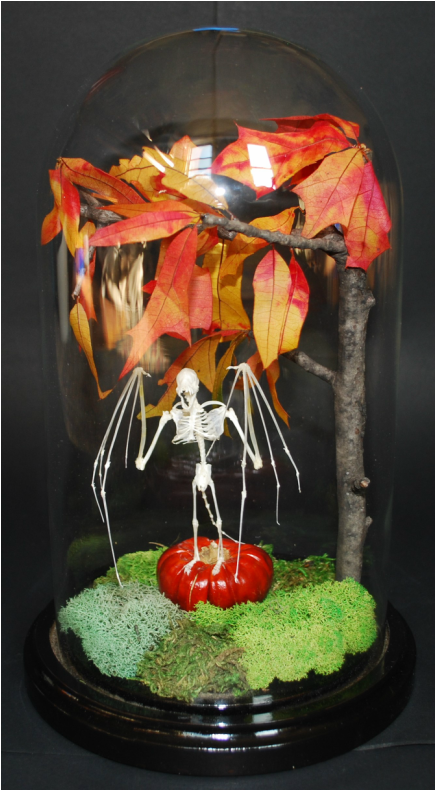 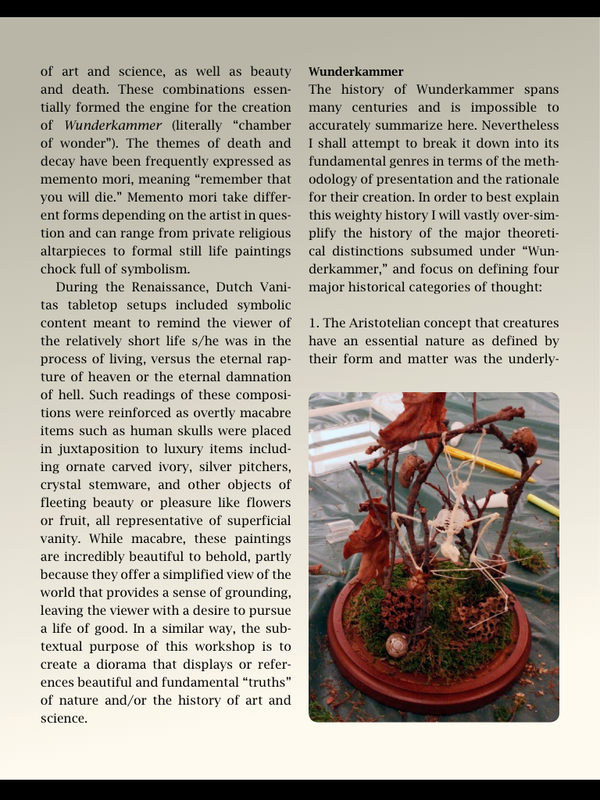 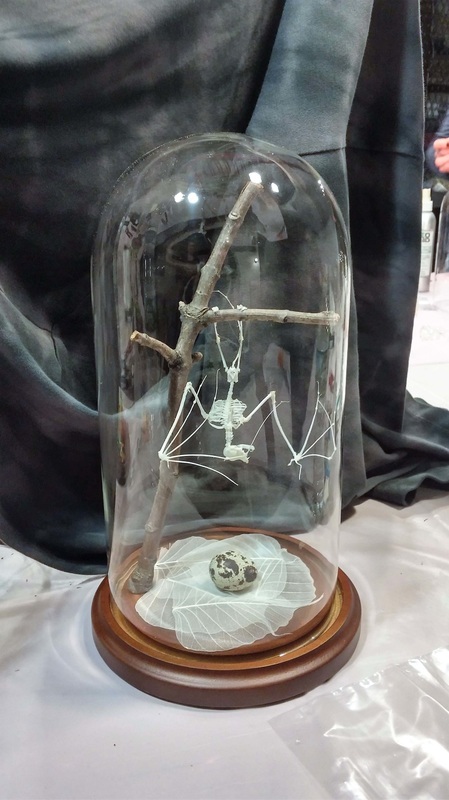 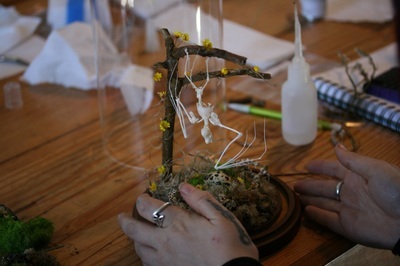 Students leave the class with a visually striking, fully articulated, “lifelike” bat skeleton posed in a 10” tall glass dome. 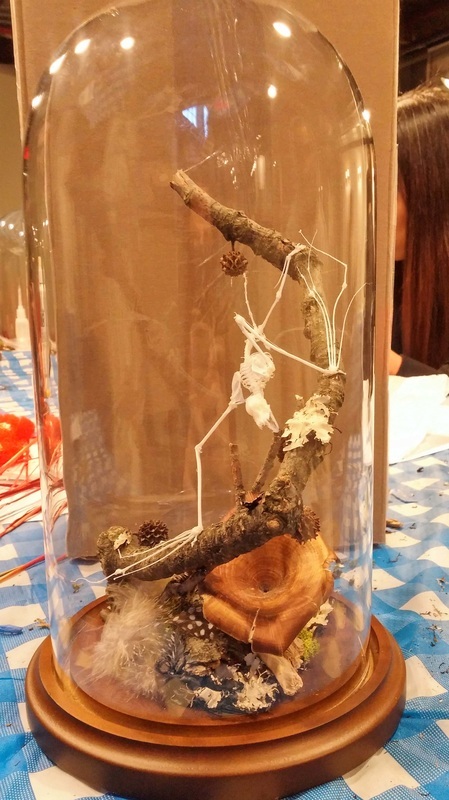 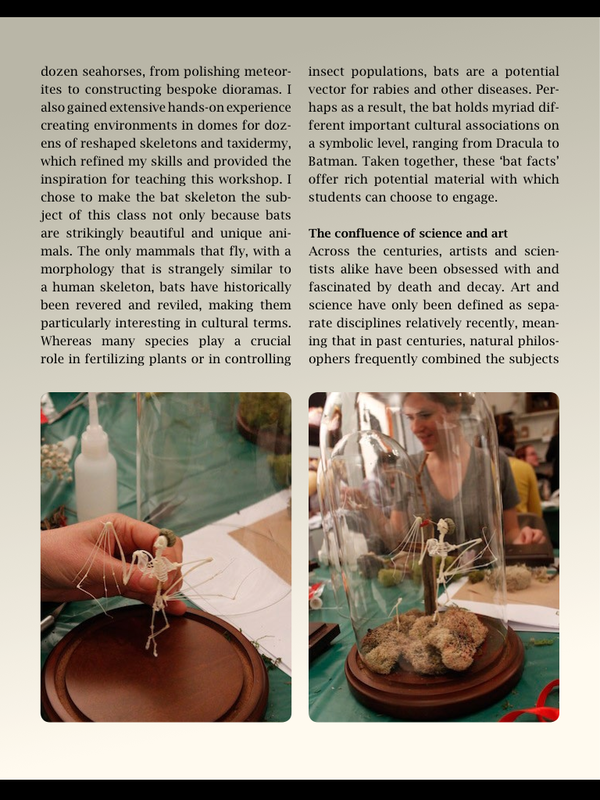 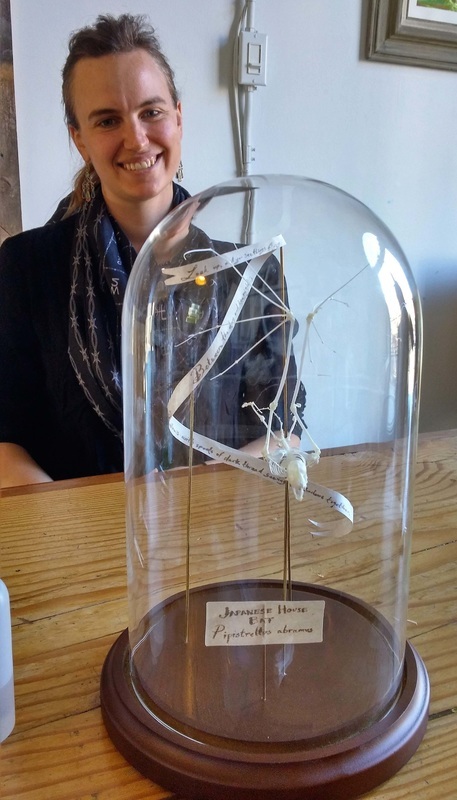 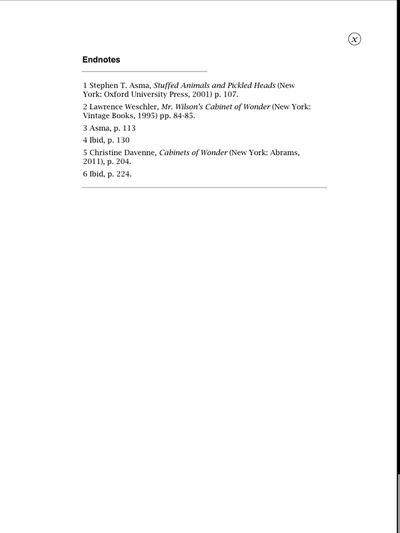 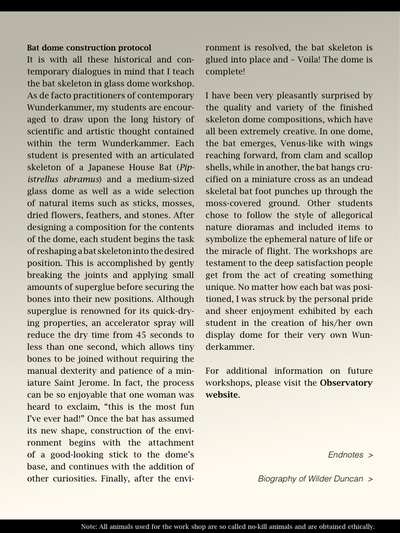 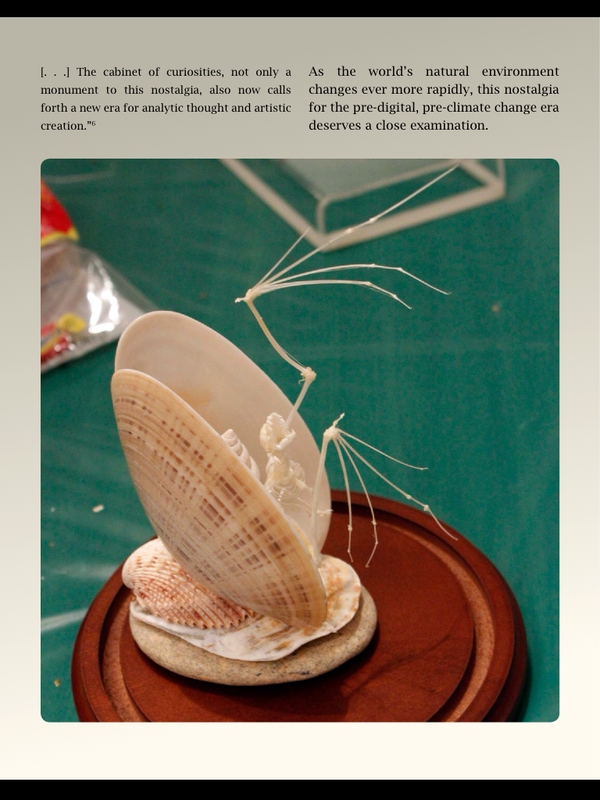 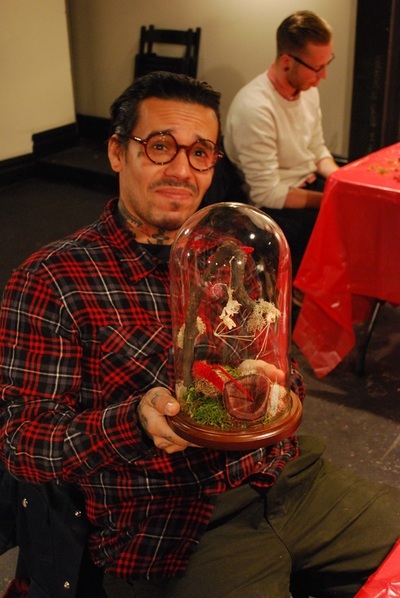 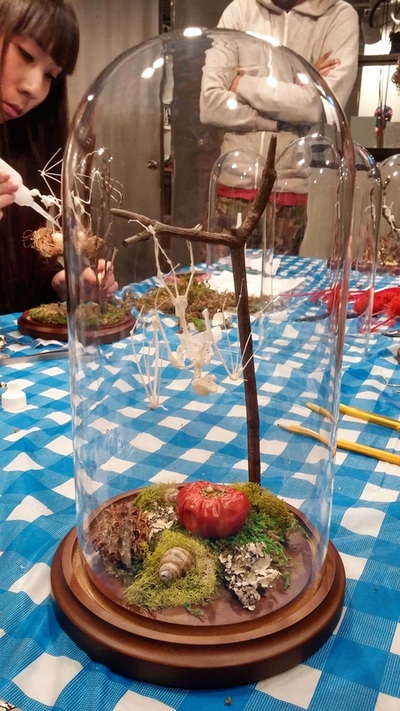 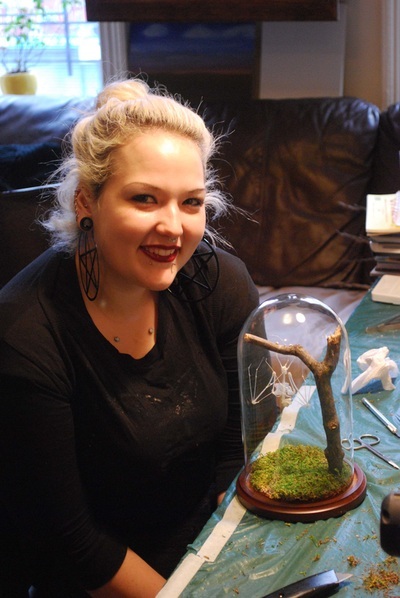 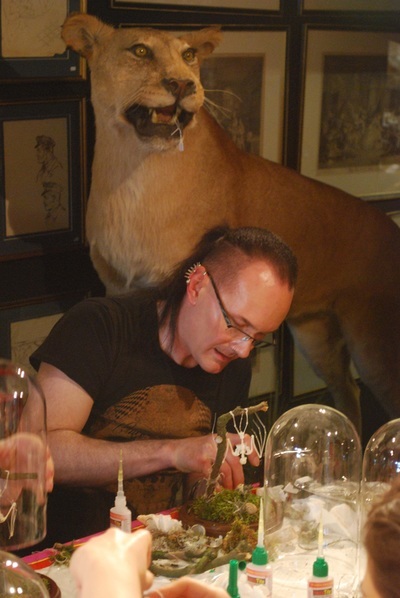 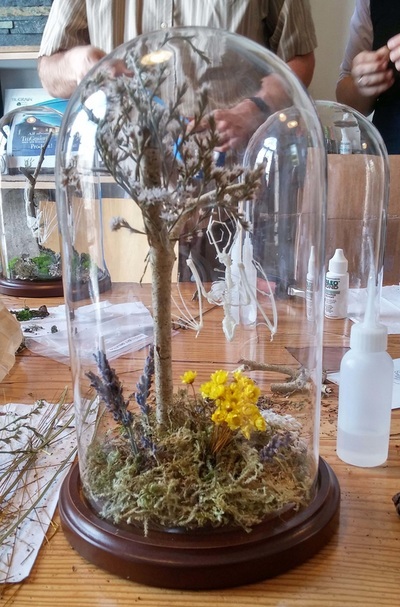 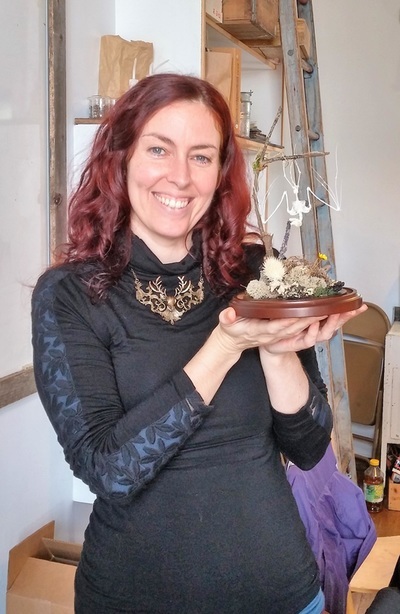 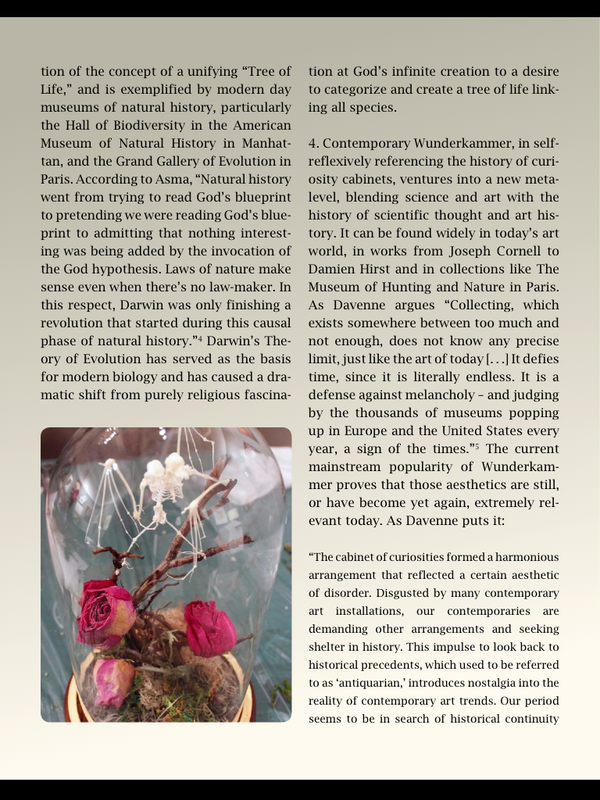 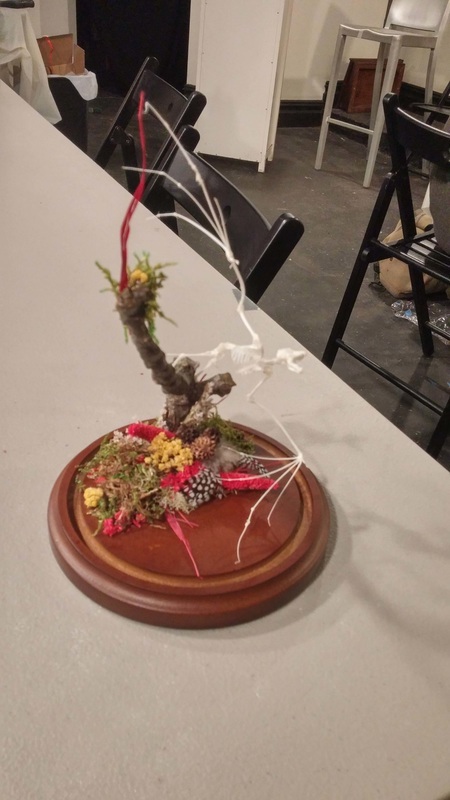 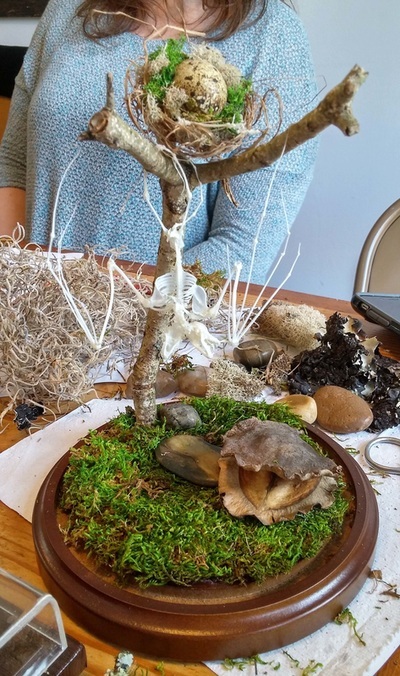 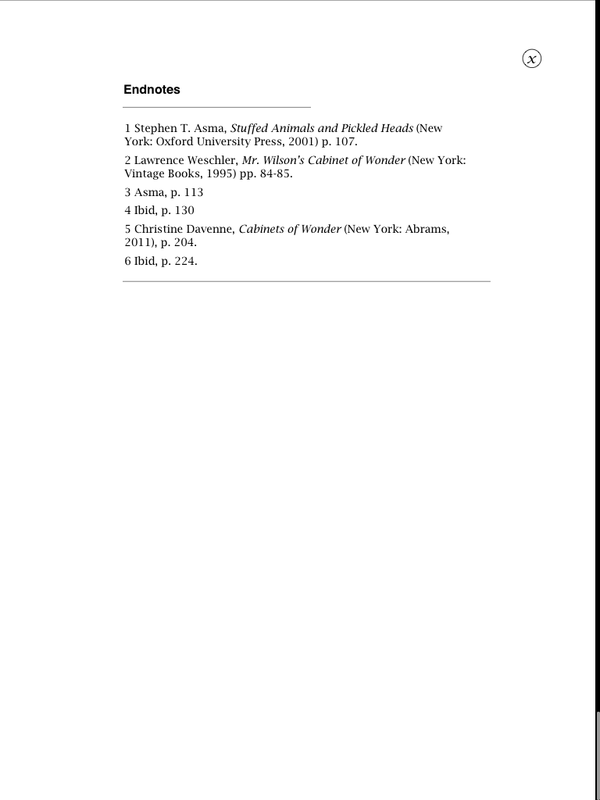 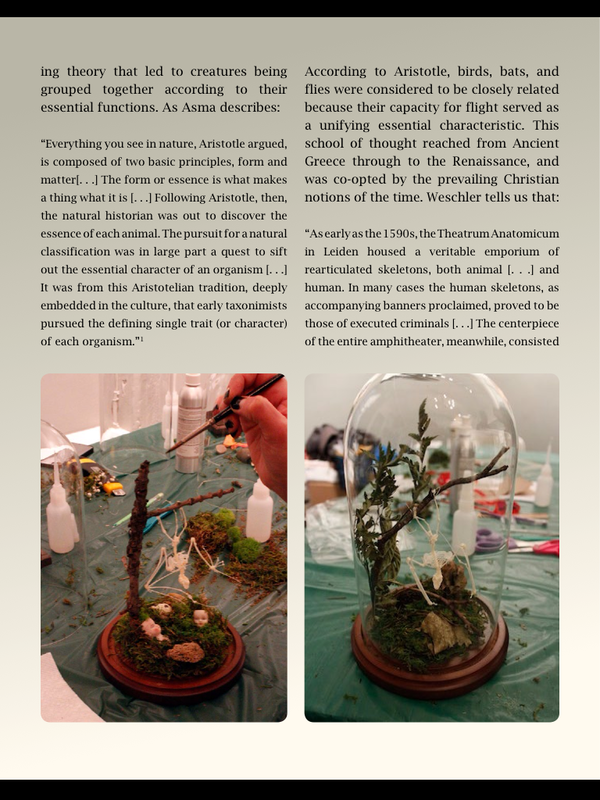 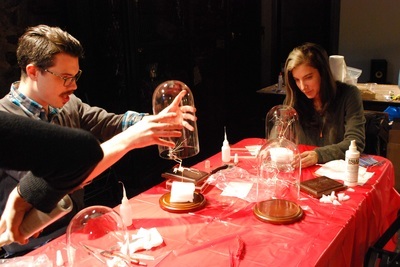 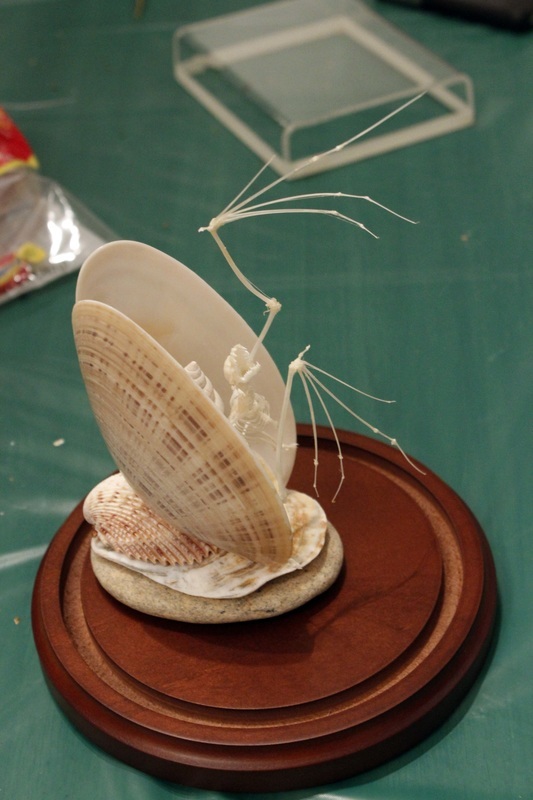 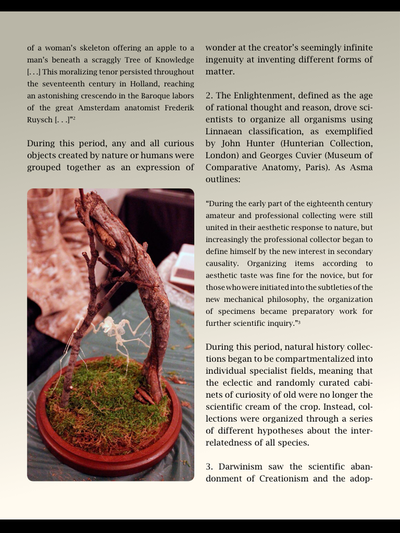 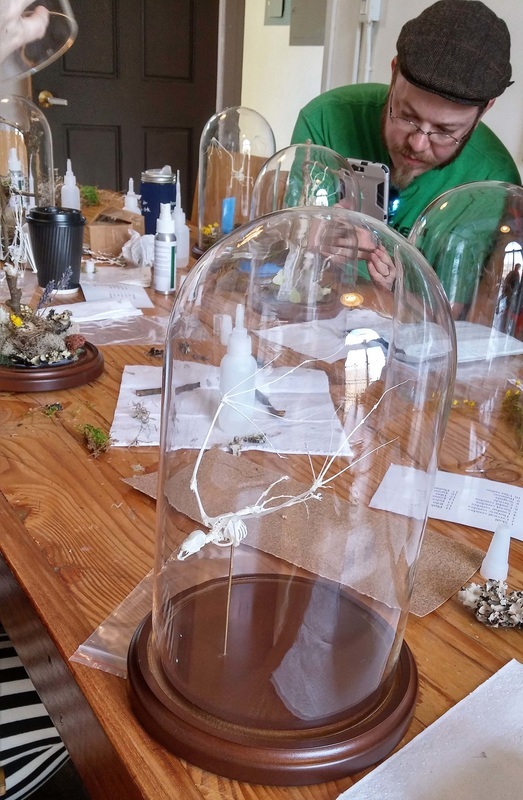 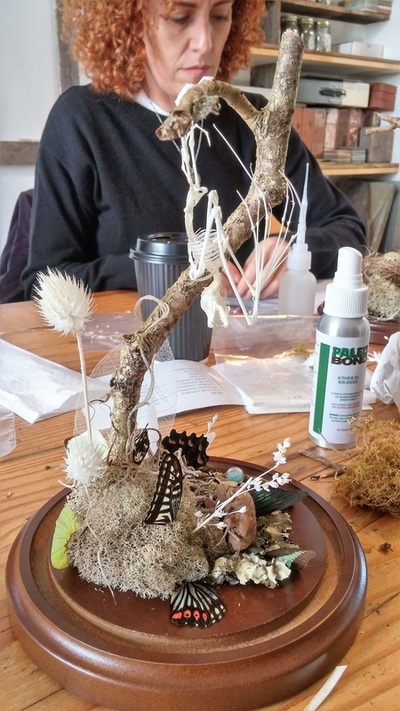 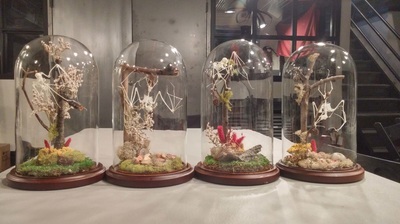 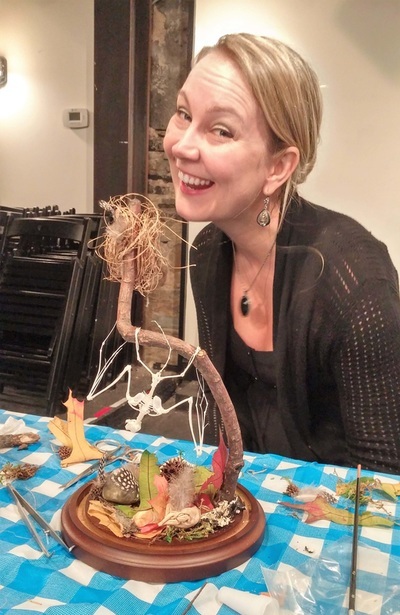 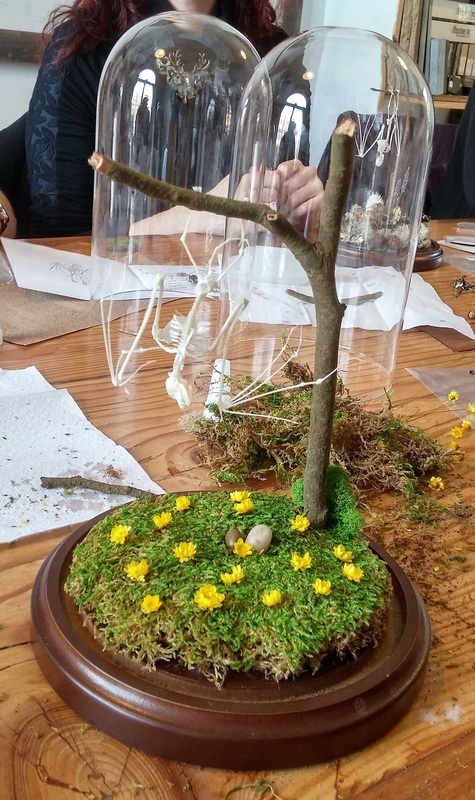 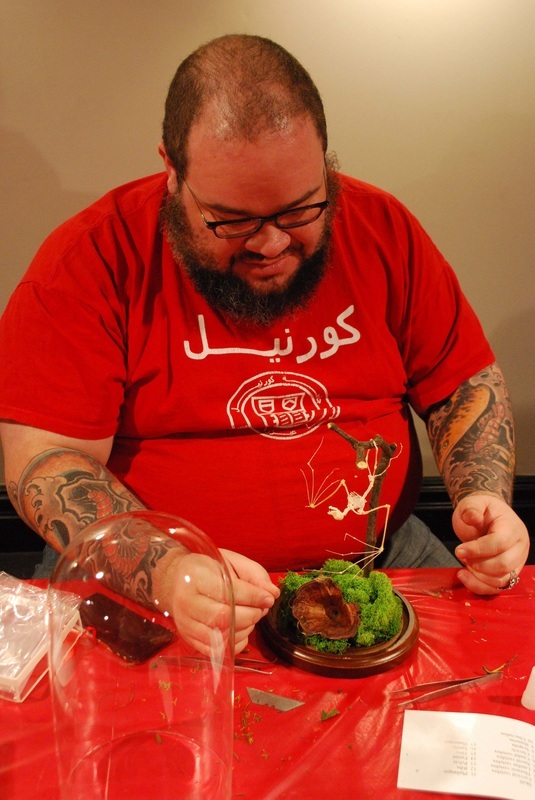 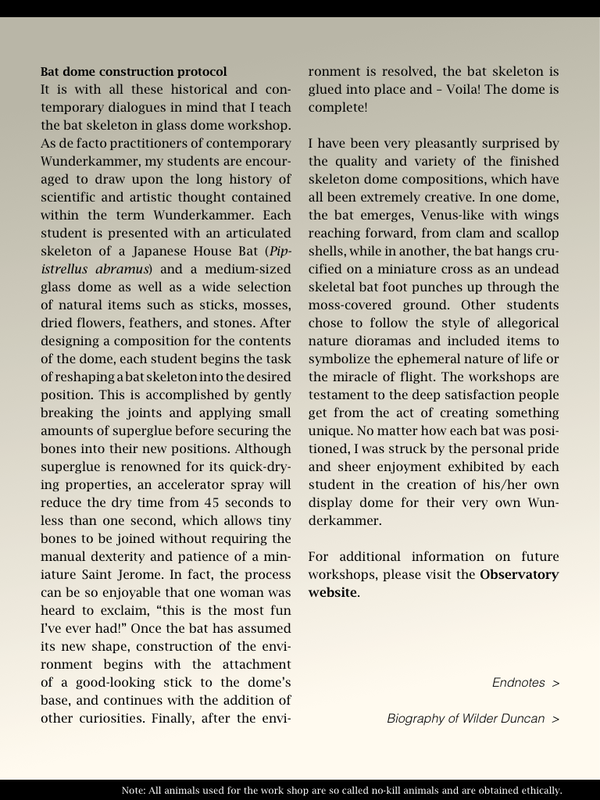 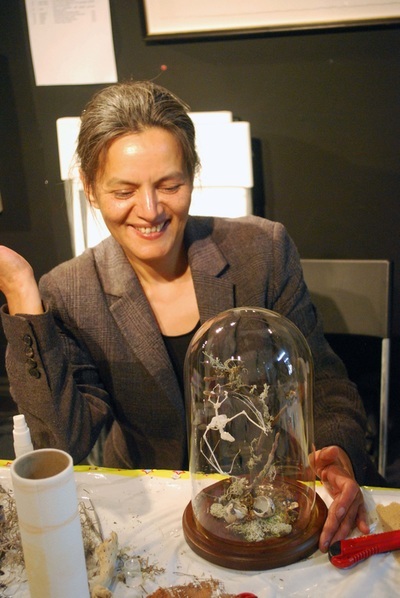 ​The class focuses on teaching ancient methods of specimen preparation that link science with art: students create compositions involving natural elements and, according to their taste, will compose a traditional Victorian environment or a modern display. 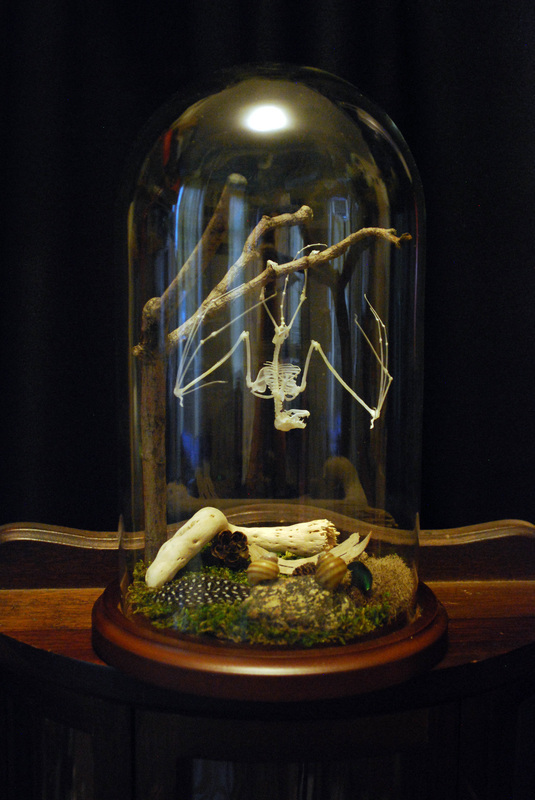 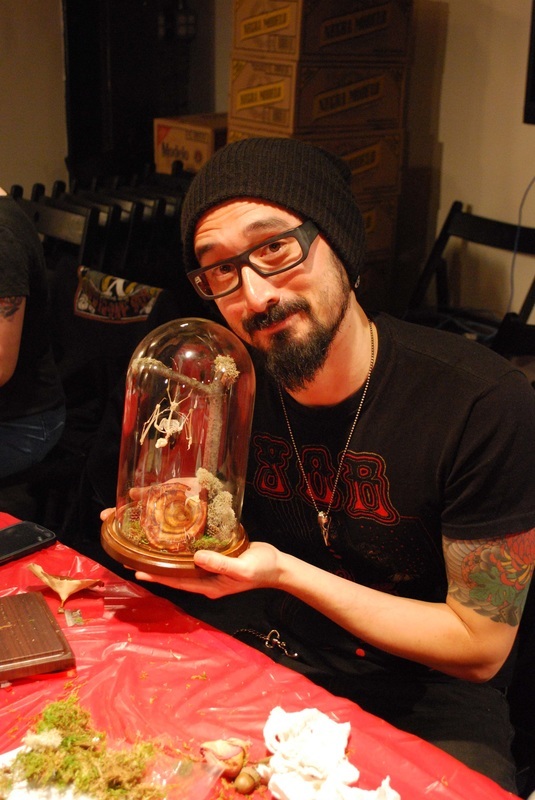 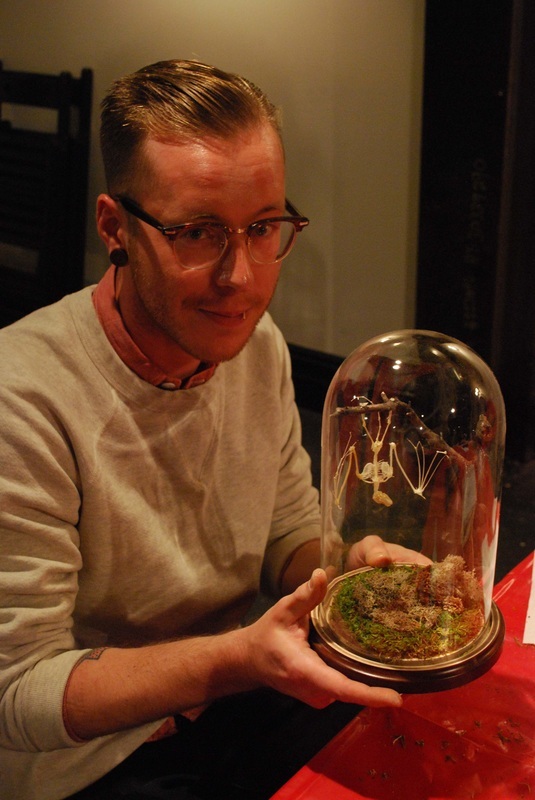 This piece will fit comfortably into any collection of curiosities! 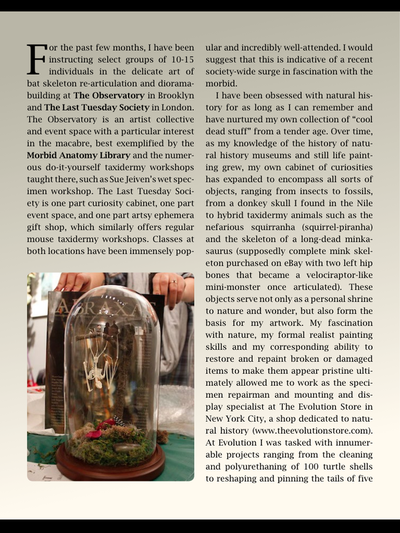 "...This is the most fun DIY class in the city..."
"As the only flying mammals, bats are uniquely weird and exceptionally iconic..."